Ben Affleck’s upcoming trip to the Academy Awards is widely expected to end with the “Argo” director cradling a gold statuette.But as the 40-year-old actor-writer-director nears his presumed moment of glory on the stage of the Dolby Theatre, it’s worth remembering that his first trip to the Oscars ended the same way for the then-25-year-old actor-writer. And the audience that saw Affleck’s first Oscar triumph 15 years ago was no doubt bigger than the one that will watch “Argo” either win Best Picture or suffer a shocking upset at the hands of some other film. I attended rehearsals from the 70th Oscars show in March 1998 and was backstage during the ceremony – where, it’s safe to say, the 25-year-old Affleck and his 27-year-old childhood friend Matt Damon were the talk of a show also known for the 11 wins for “Titanic” and the largest U.S. Oscar audience ever, 87 million viewers. 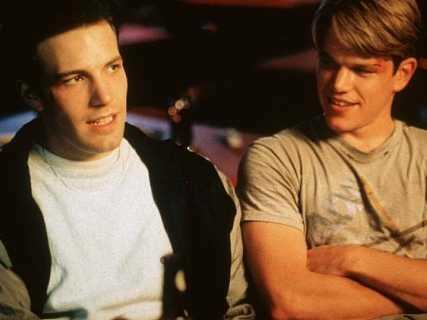 Affleck was there for “Good Will Hunting,” which he and Damon had written partly as a way to give themselves better roles than they’d been getting. They were also booked as presenters on the show, and the day before the show they arrived at the Shrine Auditorium an hour earlier than their scheduled call time for rehearsal. 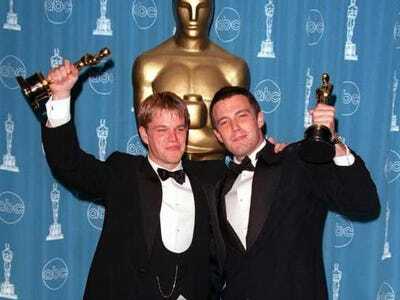 Affleck took his mum. Normally, the kids would take the presenters as they came, without undue lobbying for position — but every so often they’d all be jockeying to wait on the same celebs, which is what they did for Affleck and Damon. The two young nominees came to the Shrine with the wide-eyed wonder that first-time presenters often showed. When Affleck’s mother asked if she could take pictures inside the auditorium, the show’s publicist went to its security chief, who rescinded the usual ban just for Mrs. Affleck. After they rehearsed, Affleck and Damon walked out the artists’ entrance and into a sea of staffers’ kids. Affleck broke into a huge grin and gave Shapiro a hug. “You’re gonna go far in this life, kid,” he said. “You speak your mind.”On the way to the car with his mum, Affleck spotted writer Bruce Vilanch. “It’s going to be all ‘Titanic’ jokes, isn’t it?” he asked of host Billy Crystal’s monologue. When Affleck and Damon came into the wings of the stage an hour later to serve as presenters, stage manager Dency Nelson greeted them with a couple of bars of “Matt and Ben.” Affleck laughed. “Wonderful,” he said of Crystal’s song. “It was so new, and so incredible,” Affleck told TheWrap. “It was such a dream come true in the purest sense, and such a thrill—not just the award, but every little stop along the way.